We at Plum-Uk Ltd are a family run company based in Wigan with over 10 years’ experience in the heating, plumbing and renewables industry. We offer a range of services from boiler breakdown, power flushing and boiler installations; all of which you can find out more on over on the services page. We take great pride in being efficient, reliable, trustworthy and offering our services at a competitive price. We cover everything from minor plumbing repairs to the installation of full central heating systems in Wigan, St. Helens, Warrington, Leigh, Hindley, Liverpool and Manchester. We're also Gas Safe registered, so you can rest assured that your gas work needs are in good hands with us here at Plum-Uk Ltd.
We are also Worcester Accredited Installers, meaning we have been vetted by Worcester for our standards of workmanship. 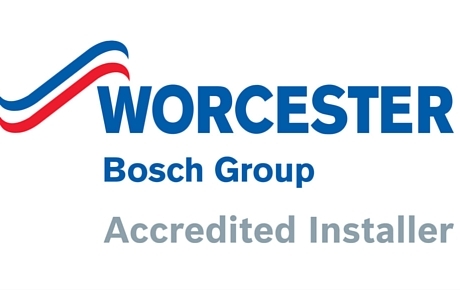 As Accredited installers, we are able to offer extended warranties on the boilers we install. If you want peace of mind and a reliable boiler, please get in touch with us today. Futhermore, we will treat your home with the utmost respect as if it was our own, we are also covered with £10 million public liability insurance for your peace of mind. Talking about getting in touch, you can reach us a number of ways. Before you do however, if you would like to take a look at our gallery page for examples of the work we have done, please do! You can also read the reviews that our customers have left over on our reviews page. So, to contact us, simply give us a call here at Plum-Uk Ltd on, 0800 689 0683. What's more, you can also email us at, Info@plum-uk.com or send us a message via the contact form over on our contact page. We look forward to hearing from you and hope you choose us at Plum-Uk Ltd across Wigan, St. Helens, Warrington, Leigh, Hindley. Liverpool and Manchester areas, for your heating and plumbing needs. Offering our plumbing & heating services within a 30 - 40 Mile radius (Wigan, St. Helens, Warrington, Leigh, Hindley, Liverpool and Manchester) and our renewable services on a national level. We cover a comprehensive range of services include ground source & air source pumps, underfloor heating, servicing and landlord gas safety records. We aim to provide all of our customers in an experience that they are 100% satisfied with at a competitive price. Fantastic service - they responded very quick in my hour of need and did a great job today. Thank you guys! Powerflushing keeps your central heating in good shape for years to come. Plum Uk Ltd offer powerflushing in Wigan, St. Helens, Warrington, Leigh, Hindley, Liverpool and Manchester areas.